Reporting in Afghanistan is pretty hairy these days. Reporting outside “the Kabul bubble” is positively dangerous. 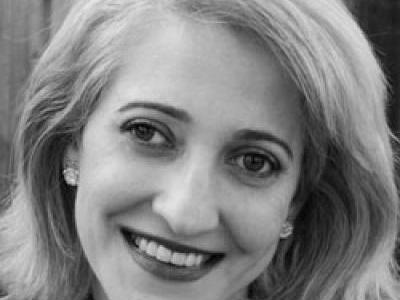 But what can I say about a blonde, Afghan-American female journalist reporting – sometimes undercover – across the country, including the southern Pashtun badlands, trying to interview drug lords, mules, lackeys and hostile Pashtun patriarchs in one of the world’s most hostile regions? Well, I can say she’s audacious. I can also tell you that she had me very worried sometimes. 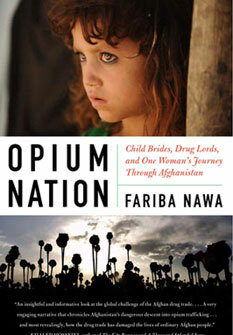 Meet my dear friend Fariba Nawa, author of the newly released book, “Opium Nation: Child Brides, Drug Lords and One Woman’s Journey Through Afghanistan” (Perennial/Harper Collins). When it comes to the multibillion dollar Afghan drug business, there are plenty of statistics and reports and experts expounding about this subject. If you’re lucky, you get the odd footage of some security official slashing poppy fields. If you’re really lucky, you may even get the odd quote from a sullen Afghan farmer about his livelihood destroyed. 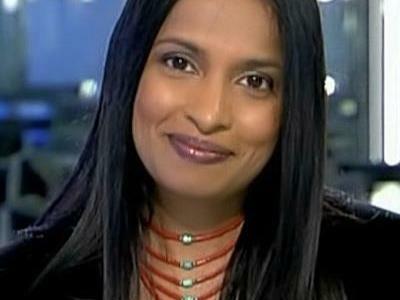 What makes Fariba’s book so gripping – and important – are the very real characters, the human stories in this business, including the people who are enriched by drugs as well as those ensnared by it. To get the story though, Faribe went through some pretty harrowing and dangerous experiences. I remember one particular incident, when I reached Fariba on her satellite phone back in 2005 when she was in southern Afghanistan. Before setting off from Kabul, Fariba had sought my advice about a man who was going to be her local guide in Helmand, a drug-infested southern Afghan province that has seen some of the worst fighting in recent years. Fariba wasn’t sure if she could trust this guy and wondering what to do. This is a very tricky business in this business. Fixers, local guides and translators are critical in conflict zones – a matter of life and death, at times. If you’re a woman – and especially a female reporter in Afghanistan – they often function as de facto security men. A good local fixer from the right family, tribe or sub-tribe with a cell phone full of contacts is honestly the best reporting tool in the field. Fariba, who was born in Afghanistan and speaks excellent Dari, doesn’t need anyone to tell her this. So, when she called to tell me about her doubts about this guide - who was a relative of a friend - I was thrown off-guard. When it comes to Afghanistan, I’m the one constantly calling Fariba for contacts, translations and advice. Afghanistan is her homeland, she’s the queen in these parts. What could I possibly tell her about reporting in Afghanistan that she didn’t already know? I offered her the one lousy piece of advice I give all my friends setting off on a dangerous reporting mission: if you feel it’s too dangerous, trust your gut and don’t be afraid to admit you’re scared. But who listens to me? Fariba of course decided to go for it in the end. So, she duly left Kabul and headed to the southern Afghan city of Kandahar, from where she was to hire a car to Helmand. But our conversation troubled me enough to make that call, back in 2005, just to check-in. The call, unfortunately, did nothing to allay my anxieties. When I reached her on the sat phone, Fariba was whispering into her earpiece, I could barely hear her. It wasn’t because the connection was bad. It was because she didn’t want to be heard speaking English. Mind you she wasn’t on the road, she was in the Kandahar offices of an Afghan NGO, where she was staying before leaving for Helmand. Cripes, I thought. If she doesn’t feel safe enough to talk in the premises of an NGO office, what’s going to happen when she leaves Kandahar for rural Helmand? Fariba was going to Helmand in search of one of the characters in her book, a feisty little Afghan girl who was bartered to be married to a man 34 years older than her as a payment for an opium debt. 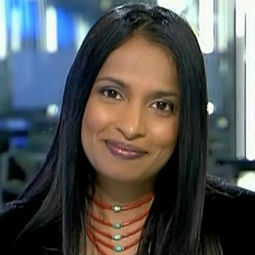 zulmay afzali's comments about chemical precursors are correct. The drug trade is not conducted by illiterate framers in Afghanistan or Columbia or Peru, It is conducted by bankers in national banks, who can not pass up the remarkable opportunity to profit. Drug prohibition never took poverty and national interest into account. It is a prefabricated failure. The difference is that now everybody knows it. "Drug War" has gone from failure, to fraud, to farce. It is the consequences of this cruel farce with which we must now contend. An undercover reporter who can't even find her way around a country and heavily relies on local guides, interpreters and fixers spends a couple of months in the country and miraculously seems to have seen, learnt and understood all the social and political dynamics of a socially vastly complex society much unknown to even its own people and writes a book passing ridiculous judgements about the traditions and culture of that society...how ironically absurd. Qui a fait le génocide des algériens en France?